Long time sitting is bad for your body, but what when you are at work all day? First of all, you can exercise while you go to work – walk to work if is not too far or go by bicycle. If you work too far, get off the bus earlier or park a little further, to more walking. Do not use the elevator, go up the stairs. 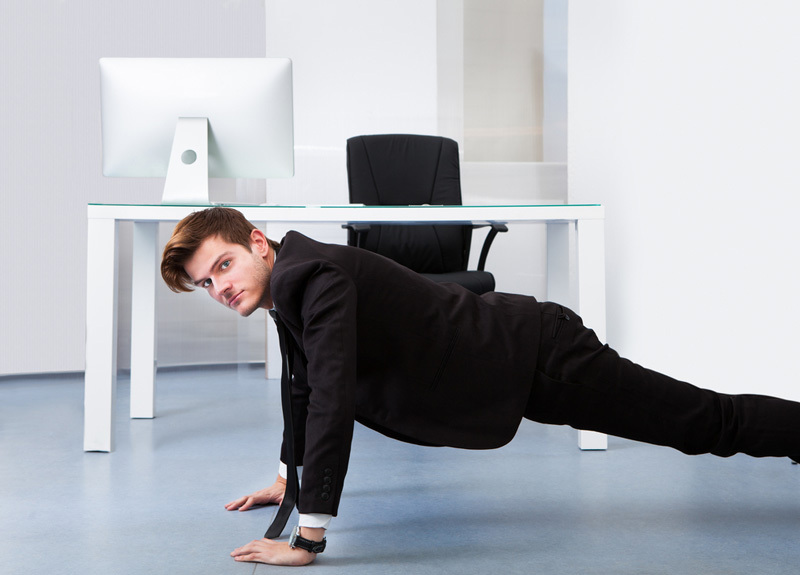 But while you are on work…Exercise while sitting on your working desk. Try to make the exercise as you read this article. Tighten abdominal muscles and hold a few seconds, relax and repeat the exercise several times. When you finish this exercise,lift your leg from the floor and extend forwards and then backwards. This exercise is great for the lower abdomen. The exercise can repeat as many times as you like. If you are alone in the office that’s great, because otherwise you might wonder why colleagues are watching you strange during this exercise. But however dance, move your head and shoulders to the rhythm of the song that goes on the radio and all that do it while sitting. So you will burn some calories and you will improve your mood also. Extend your legs until they are parallel with the floor. Tighten your muscles and hold a few seconds and then slowly return them to the floor and repeat the exercise several times. If you want to achieve even greater effect, then,before tightening cross your legs. And don’t forget, use all of your free time for stretching, that way you will avoid back pain.